See the fun things for Cats and Cat Lovers inside Day 6 of our Cat Christmas Advent Calendar. The Holidays always bring out the colorful decorations, but for Cats it’s just another cool toy to play with. This gorgeous Cat is having a great time playing in the tinsel before it’s time to put it on the Tree. 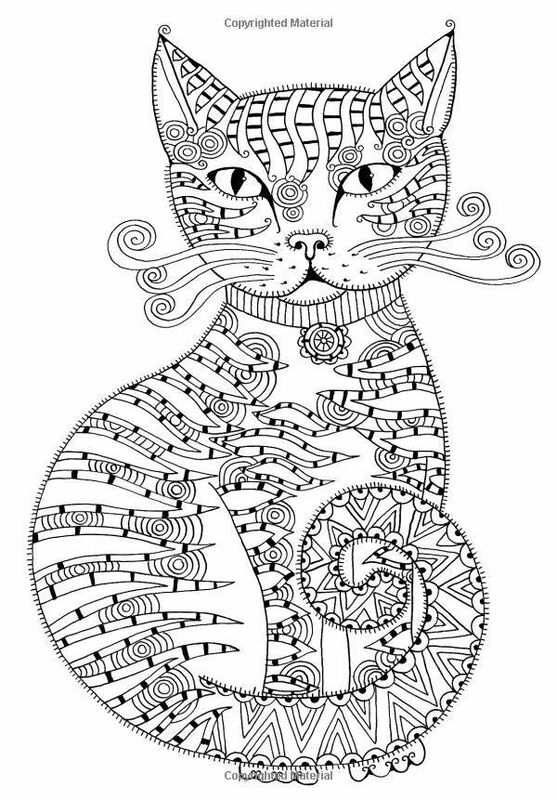 Have fun coloring this Cat Coloring Sheet. It’s has a unique, exotic design with lots of nice detail. This booklet has some very helpful info on Your Cat’s Nutritional Needs to keep your Cat well fed and healthy. It’s based on a larger report that is available at the end of the Booklet if you would like to get more information on the subject. Cats purr when they are happy or content and can also purr when they are eating. Cats may also purr when they are anxious or sick in an attempt to give themselves some comfort. Even though your Cat may find a window ledge or a spot on the couch to sleep from time to time, a Cat bed is essential. It provides a clean, dry place that your Cat will always have to sleep and rest. You can also make your Cat’s bed more comfortable with a warm blanket or towel but remember to wash it regularly. The ModCat XL Litter Box is uniquely designed to eliminate almost all litter tracking by using a top-entry, which can also provide your Cat with some additional privacy. To switch to a front-entry simply remove the front cover and snap on the walk-off platform. If you will never use the front-entry, you can save some money and get the regular ModCat Litter Box that has only a top-entry and is also a few inches smaller. The ModCat XL Litter Box top-entry eliminates the most litter tracking while the front-entry reduces litter tracking. You may need to add a litter mat if you plan to use just the front-entry. Both litter boxes are easy to clean with a top lid that swivels open for scooping and come with liners that last up to 3 months. They also work well with clumping litter. Here is a great idea that allows Cats to freely get in and out of rooms with closed doors. It’s a great option to keep in mind if you keep your Cat’s litter box in a closet or in a smaller room of the house. The Hidden Cat Door’s clean design allows Cat to pass through safely. It comes in gloss white and can be painted to match your home’s colors. You can see more Cat Litter Boxes and Accessories here.